An Inverter AC adapts its speed depending on the heat load in the room. Unlike the regular Split ACs, The Inverter Air conditioners have shifting speed motors that adjust their speed according to the requirement. So, it is obvious that they consume 30- 40% less electricity. Below we will be guiding you on best 1 ton Inverter AC in India 2019. According to Bureau of Energy Efficiency, an Inverter AC of BEE 3 Star Rating is 7% more energy efficient than a BEE 5 rated normal Split AC. Inverter technology is available only for the split ACs. With Normal ACs, whenever the compressor starts, there will be a slight fluctuation, and when the compressor runs, the room gets chilly, and when it shuts off, the room might get a little warm. But, that’s not the case with the Inverter AC, when you set temperature, After some time, the temperature will be almost constant, and you don’t even notice if the compressor is running or not. There are many brands available in market and each brand is having their unique features with different prices. It is important to know few key features before purchasing an AC. 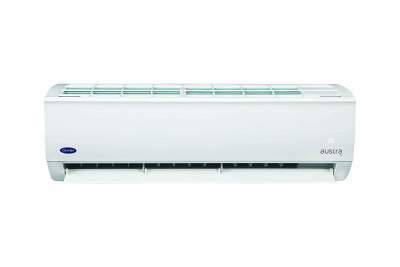 You can check How to select best Air conditioner for Home. Size and performance – LG is most trusted brand in Air conditioner. 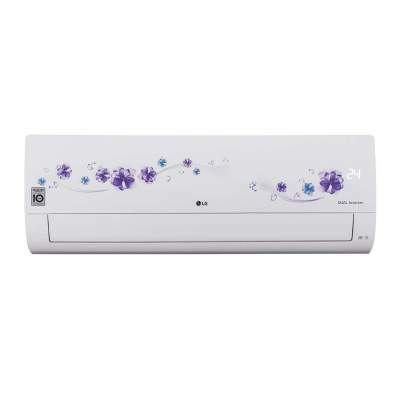 This LG inverter ac 1 ton comes with all smart features which gives you full values of money. Energy Rating – 5 Star, best in class efficiency and annual energy consumption is 938 units. DUAL Cool technology – Hot days are never met with LG air conditioners. Thanks to its faster cooling technology that saves your electricity and provides instant cooling. Made for Indian regions, highly affected from sand, salt, industrial smoke and pollutants. It ensures an extended lifespan with low operation cost. Gold Fin Condenser – It gives long life ac. It’s anti-corrosive condenser that can withstand salty air, rain, dust and other corrosive elements. Copper condenser coil gives better cooling and requires low maintenance. Active Energy Control – this is saving the energy by taking advantage of its active energy control. Comfort Air – Air that blows in your room and not on your face. That’s comfort Air, just set a position for your vane and let it sway. Auto Clean – Just turn on Auto Clean and your heat exchanger will dry. So there’s no scope of bacteria and mold forming in it. Stabilizer free operation – The technology of the future just got less wired, ensuring ultimate comfort and more savings. A Digital inverter 8 – pole consumes less energy compared to conventional models. It maintains the desired temperature without frequently turning off and on, so it’s much quieter, more durable and efficient. Copper Condenser – The Samsung room air conditioner has a condenser, where the condenser coil is made of copper. Single User Mode – Once you press the button ‘single user’, purista pattern can change its capacity. With the function of single user mode you can reduce max capacity of your AC which results in more energy savings than normal mode. Smart Installation – With smart installation feature you can now enjoy complete peace of mind as the feature allows you to automatically check if the installation has been carried out perfectly by the installation team. Triple Protector Plus – Voltage fluctuation protector: The voltage fluctuation protector feature protects AC against sudden voltage surge or drop. It also improves the look of your home since one doesn’t need to install a separate stabilizer. Compressor Protector – Samsung’s distinctive compressor protector prevents the compressor from being overloaded by unstable electricity circumstances. Warranty – 1 year on the product, 1 year on the condenser, 10 years on compressor. Voltas 1 ton inverter ac comes with 3 star and many good features like 2 stage filtration, copper condenser coil and less noisy gives you better sleep. 2 Stage filtration – it removes allergens odours and other harmful particles to give you cool and fresh air. Super silent – it is quite less noisy and operation is as low as 28 dB. Steady Cool Compressor – Unique energy efficient compressor provides steady cooling and steady savings. Gives you instant cooling even at 52⁰ C. Provides the convenience of turning the AC On/Off as per your convenience by setting the time. Instant cooling – Turbo mode cools the room instantly. Active dehumidifier – Senses the indoor humidity and controls it in the monsoon. The split ac features a classy silver finish that is sure to add a dash of charm to your room interiors. It features a digital front panel that looks simple and elegant. When the sleep mode is activated, its unique microprocessor automatically adjusts the room temperature to match your body metabolism rate during sleep hours, thus giving a comfortable environment to sleep and also saves energy. This is the best unit from Carrier, comes with 3 start and provides lots of features. Cooling – It has cross flow air-vent technology; it makes use of a cross flow air-vent technology that provides a uniform cooling all around the room, making one feel at ease. It also resists temperature fluctuations for added comfort. Filters – This AC makes use of a silver ion filter which is anti-bacterial in nature, and is able to contain the formation of bacterial, fungal or microbial growth inside the unit. It helps in providing one with fresh air to breathe in. It has also got an anti-dust filter which ensures all the air circulating in the room is removed of dust particles. Other Features – The AC also makes use of cross flow air vent technology that provides uniform cooling all around the room. The cooling capacity of the AC is 3550 W , and the Power usage is 1080 W.
Good quality rotary compressor for smooth run: The AC comes with an intelligent rotary compressor that provides a smooth and noiseless operation. Noise level is only 40dB. Warranty – The Voltas DC Inverter Split AC comes with a one year warranty on product and five years warranty on the compressor. Smart Technology – This unit has used Digital Inverter 8-pole technology, it maintains the desired temperature without frequently turning off and on. So it uses less energy and helps you stay comfortable for long periods. Healthy air – It has 3 care filter which helps keeping your air fresh and the inside of the unit clean. As well as capturing dust, its unique coating may eliminate up to 99% of certain kinds of viruses, bacteria and allergens as they pass through its dense filter mesh. Fast and comfort Cooling – it cools the romm within 30 minutes.The 2-step Cooling Mode begins cooling the air fast using its fast cool mode. It then automatically changes to Comfort Cool Mode to maintain the desired temperature, so don’t have to keep changing the settings. Good sleep mode – It creates the desirable climate for a good night’s sleep. With its temperature control, it keeps you comfortable, so you fall asleep fast, sleep deeply and wake up refreshed. Auto Clean – When the air conditioner is turned off the auto clean function automatically runs a fan to remove dust and moisture in the heat exchanger. So it stays clean and dry, which prevents the growth of bacteria and mildew. Warranty – 1 year comprehensive, 10 years on compressor. That is all our Best 1 ton Inverter ac in India 2019. We have provided all the important details for each model. We have considered those points/criteria, user feedback and price tag of the product to prepare this list. There are different ranges of best 1 ton inverter ACs available above and you can choose the one which fits in your budget and needs.